The second highest on my list at the beginning of the year, Suicide Squad seemed like it had loads of potential for a great outcome based on the concept itself, let alone the promising trailers. Many highlighted Jared Leto as the Joker which, even if it couldn't surpass Ledger's performance, seemed equally promising and interesting for one of the central villains in antihero based narrative. 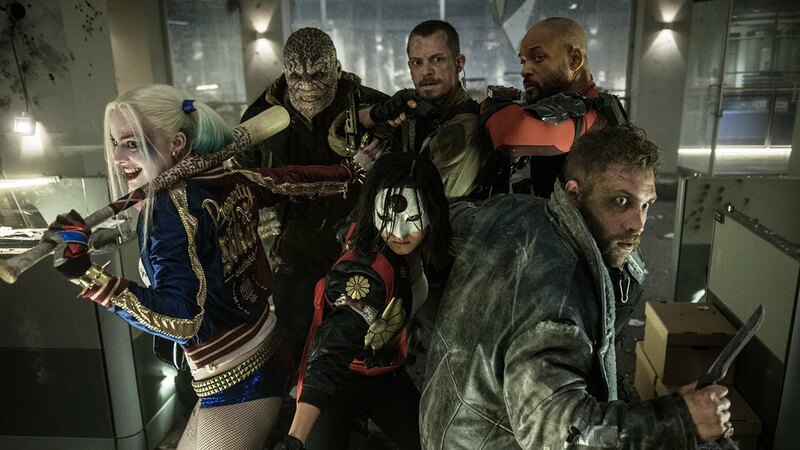 Sadly, much like this year's DC Universe hit Batman v. Superman, Suicide Squad turned out to be an overlong, boring, and incredibly underwritten misery from beginning to end. Whilst it's cast was promising and it's visual effects as impressive as ever, the main weaknesses, as detailed in my review, is simply how it's script lacks a complex enough story to justify it's bloated run time; consequently, we're burdened by many dull scenes that have no real purpose aside from trying to extend the film's length or trying (and failing) to generate some excitement without any narrative context. Leto's main role, while seemingly promising in the trailers, turned out to be naught but him acting crazy now and then with little development to his overall character, and thus the result was incredibly forgettable - which can be said about the entire film itself. And that's putting it nicely. 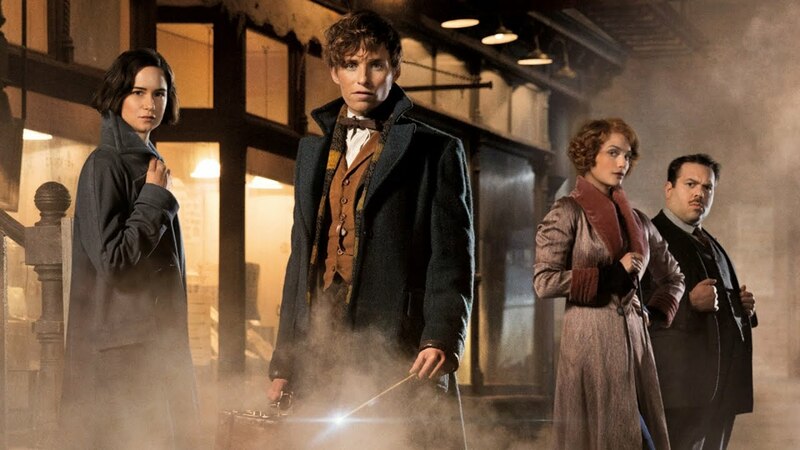 The near bottom of my most anticipated list but still a film I was eager to see, Fantastic Beasts initially looked like a desperate attempt to harvest more profit from the concluded Harry Potter series, with it's source material having no storyline whatsoever and thus being an odd choice for a blockbuster adaptation. However, with Rowling herself penning the script, a great cast, and some very promising trailers, the film looked more and more exciting and refreshing as it's release date came ever closer. But, much like Suicide Squad in some ways, Fantastic Beasts cannot generate a narrative meaningful enough to justify it's 2+ hour run time - as a result, we're once again overwhelmed by many scenes that feel wholly unnecessary. The same can be said for some the supporting characters (and weak villain), several of which are largely uninteresting and experience strange shifts in their overall motivations to the convenience of the plot, often making them hard to engage with or even find likeable. Rowling is also grossly obsessed with injecting more and more political nonsense into her story which, while great for making the world as believable and genuine as possible, starts to tempt you into sleepiness when all you hear is political jargon in such a promising fantasy setting. Good in terms of aesthetics, but I was won over by little else, and left majorly disappointed. In hindsight, I'm not sure why this one was on my list - because with all the other big movies coming out in 2016, I think there were plenty of other choices that could've outmatched it. Still, Disney's live action retellings of not only their famous animated hits but also classic fairy tales in general have impressed audiences greatly for the most part, and so this one looked like it could be another contribution to such success - especially with the acclaimed Steven Spielberg appointed as director. 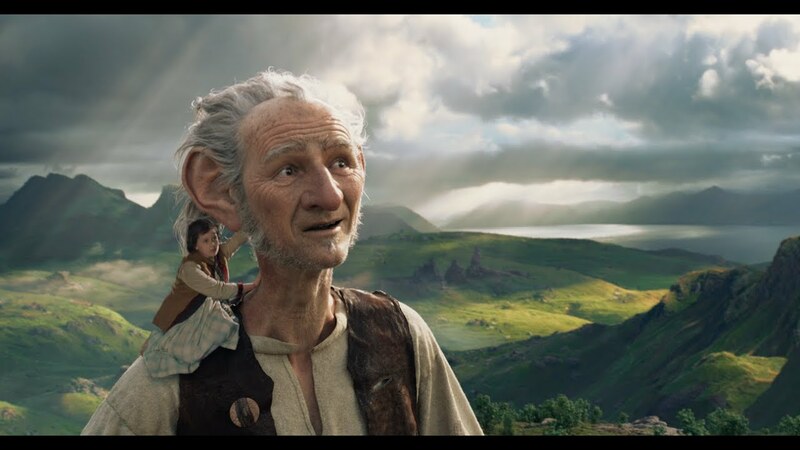 But The BFG is...jesus, ONCE AGAIN, a movie that is far too long for it's own good. It's storyline suits a much shorter, leaner project, but this film drags it out with simple scenes that are stretched uncomfortably long and some which serve no purpose whatsoever. The characters are fairly thin for the most part, even the eponymous giant played reasonably well by Mark Rylance, and especially the generic giant villains. The ending also feels incredibly abrupt, though perhaps I didn't complain much when the boredom finally came to a much needed conclusion - as things went on and on, I could literally feel my eyes closing, and endured an ongoing struggle to pay attention. Definitely one of Spielberg's worst, and again, a saddening letdown. It's only now we've started to get to the good movies at last. 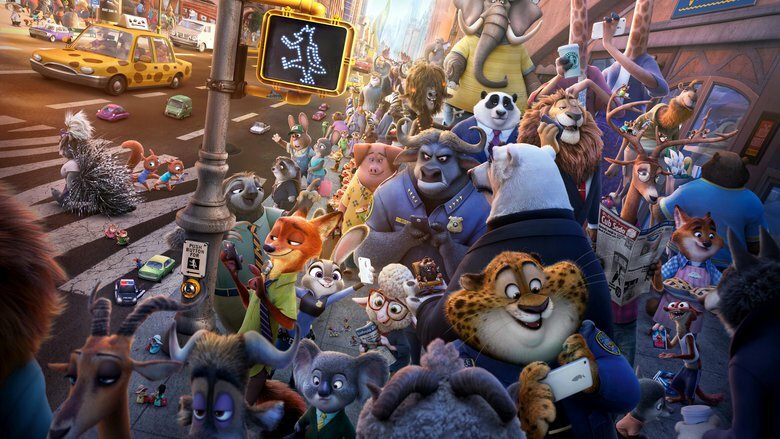 Originally at number 3 on the list, Zootopia impressed me greatly upon release, and I'm not the only one who would make such a claim - for it became an even bigger hit than anticipated, with over $1 billion in box office revenue and critical acclaim from reviewers all around. Disney have definitely used this brilliantly unique concept in the best way possible, making a film that's funny and heartwarming, and not one just obsessed with making modern technical pop culture gags - something I was very anxious about at first glance. The film's themes of acceptance and prejudice are well conveyed without being patronising, and it's story remains appealing and engaging for all ages. The focus on solving a mystery keeps us hooked throughout, pieced together in a way that makes it's development and outcome not too obvious yet never too complex, once again making the film approachable for all kinds of audiences. There's of course a great lineup of talents in the cast, namely Jason Bateman and Ginnifer Goodwin in their starring roles, but also the likes of Idris Elba and J.K. Simmons in small but highly entertaining supporting roles, among many others. The animation is just what you'd expect from Disney in their recent resurgence - clean, colourful, and incredibly energetic, making for a film's that as lovely to look as it is engaging to follow. The film that garnered the top spot of my most anticipated list finds itself untouched - for this year's The Jungle Book is easily one of Disney's finest live action films to date, and a masterful retelling of the 1967 animated original. Featuring all the beloved characters but bringing them into a plot far more complex and exciting than it's animated source material, this live action remake becomes an engaging and emotionally resonant watch from start to finish, and one that is upheaved even further by it's absolutely outstanding CGI effects. Said effects used to craft the animal characters are more than just aesthetically convincing - they still manage to make these realistic animals appear lively and capture their emotions with beautiful attention to detail. This allows them to be far more than bears or tigers with moving mouths, but characters who are highly entertaining to watch and believable across many aspects. The cast, as I've said many times, is just as amazing - featuring the likes of Bill Murray, Ben Kingsley, Idris Elba, Scarlett Johansson, and Christopher Walken - all of whom play their roles brilliantly, even if some are less impactful than others, and it must be said Neel Sethi does an equally impressive job with Mowlgi when one considers he essentially had to pretend to talk to all of these characters during initial filming. The reimaginings of the classic songs are all here to and, while some may find them a little out of sync with the context of some scenes, they remain thoroughly enjoyable to listen to. Definitely one of the best films of the year - so good it makes it hard for me to go back and truly enjoy the original in comparison.